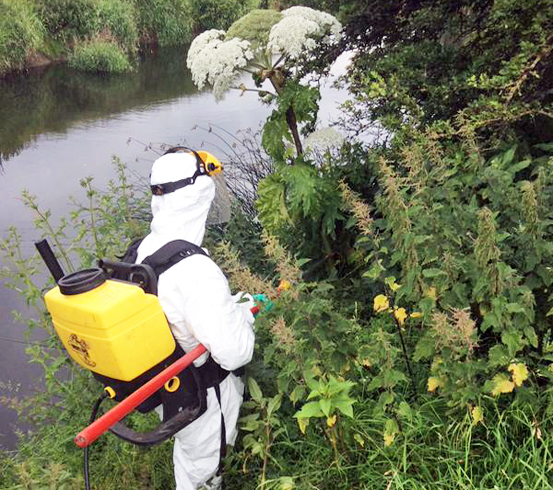 As the plant is so dangerous and the chemicals required to control it so powerful, grounds maintenance contractors are experiencing a sharp rise in the number of weed control calls they receive and should be ready to deal with the problem at a moment’s notice. Heracleum mante­gaz­zianum, to give giant hogweed its proper name, is characterised by long green stems which, at their extremities, branch outwards into separate clusters of small, delicate white flowers. This means that they can be confused with less harmful species like elderflower, cow parsley, bishop’s lace or the closely-related common hogweed. Giant hogweed, aside from its size, can be identified by its thin spines, spotted leaf stalks and purple stem. When fully grown, giant hogweed plants can be as much as 3.5m high with a 1m span - each flower head can grown to more than half a metre across. The plant was brought to the UK in 1893 from Central Asia and is now found in many heathland and woodland areas in the countryside. Recently, the plant has been gaining a stronger hold and is now commonly spotted along river banks, canal towpaths and even in the gardens of domestic houses. 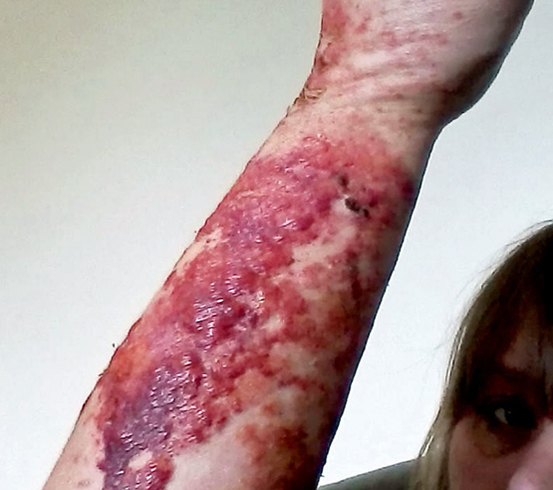 How does giant hogweed cause burns? 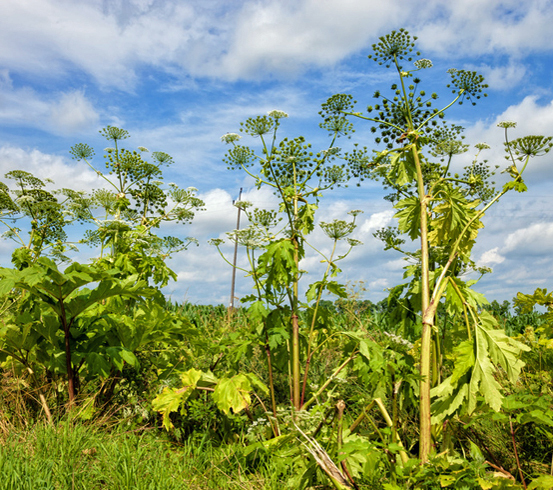 The sap of the giant hogweed plant contains chemicals which cause the human body to suffer from photod­er­ma­titis, a condition which makes the skin become unusually sensitive to ultraviolet light like that from the sun. Such light makes the skin blister and become pigmented, which can cause serious and long-lasting scars while getting sap in the eyes can cause blindness, which could even be permanent. Just touching or brushing the plant is enough to cause the release of the dangerous sap - in short, the giant hogweed is a plant to be avoided at all costs and any growth should be immediately halted. 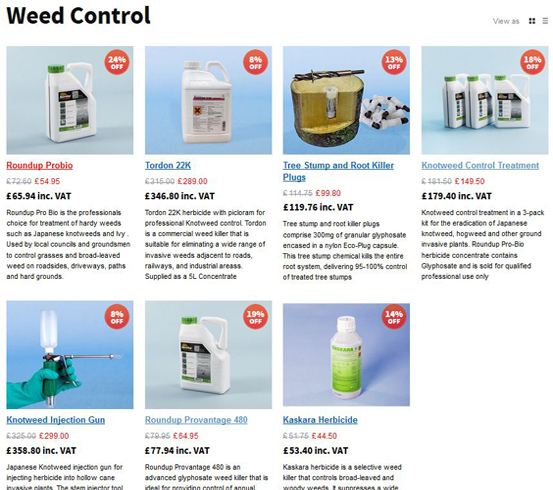 Use the highly-successful Twistfix Find-a-Contractor scheme to match you with a contractor who uses our quality, powerful collection of professional weed control products. You can then rest assured when our superior weed control chemicals are used by experts in the treatment of invasive weeds the problem will be quickly, and reliably solved. 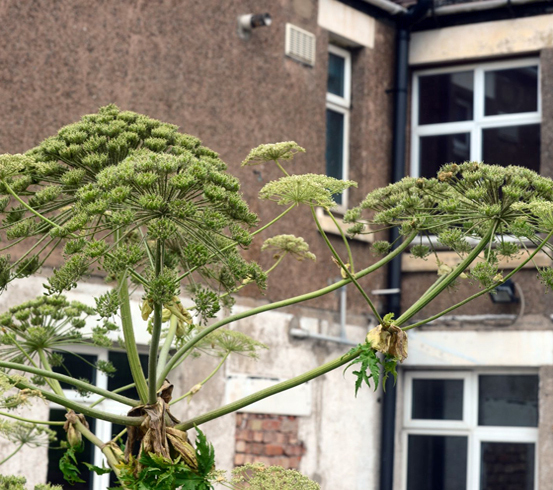 Should you inadver­tently have skin contact with giant hogweed, the NHS advises washing the area well with soap and water before covering. If you feel ill after contact with the plant, consult a medical professional immediately.